Can vitamin D prevent colds and flu? 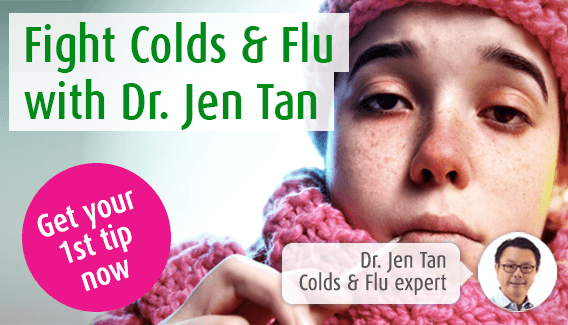 home > health > immune system > Can vitamin D prevent colds and flu? When colds and flu hit they are uncomfortable and disruptive – you may have to take time off work or forgo an afternoon with friends. As a result of this we are constantly on the search for new ways to fend off viruses but could vitamin D be the answer? This issue has been given a lot of attention recently but here I look into it in more detail. Why might vitamin D help prevent colds and flu? So, these are two quite different conclusions about the effects of vitamin D on colds and flu which would suggest there is still more research needed on the issue. Should I consume more vitamin D? As well as thinking about all of this though, the product also matters a great deal as well! Some vitamin D supplements can contain a host of ingredients that will leave you puzzling over labels but to make things easier, here at A.Vogel we’re always happy to make a recommendation. Our friends over at Jan de Vries stock BetterYou’s DLux1000 Vitamin D Oral Spray which is one of the most effective vitamin D supplements available. That’s because, as it comes in the form of a spray, this product bypasses the digestive system meaning it is absorbed into the bloodstream much quicker than a tablet or capsule would be. Also, you don’t need to worry about the flavour here as BetterYou have added a refreshing natural mint taste to this spray! Alternatively, you could try our Balance Mineral Drink which contains a host of vitamins and minerals including vitamin D, zinc, magnesium and calcium. You can mix Balance with water or for a little more flavour, incorporate it into a delicious smoothie! Although it is difficult to get all the vitamin D you need through your diet, this is a good way to help top up your levels. There are, after all, a range of foods that contain vitamin D including mackerel, salmon, milk, almond milk, mushrooms and tofu. Are there other ways to fight colds and flu? Our Echinaforce Echinacea Drops are made from fresh Echinacea, a plant that has a long history in helping to fight colds and flu. Echinacea supports the immune system and in doing so helps to maintain the body’s resistance to viruses. This particular product stands out because the Echinacea is grown organically and then soon after it has been harvested it is put into the Echinaforce product. This means each bottle has many more active substances in it than if a dry herb were used. This, in turn, makes it more effective so this definitely gives you another option when it comes to tackling colds and flu!